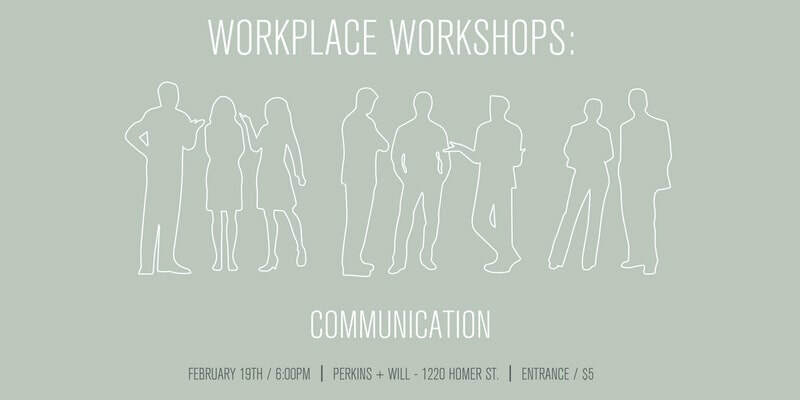 Join us Monday, February 19th, for a workshop on communication skills. The ability to clearly communicate ideas, give constructive feedback and navigate conflicting opinions are all integral to making a project run smoothly and maintaining good relationships with everyone involved. The goal of this workshop is to develop an understanding of what makes for effective communication and how to implement this in a professional context for interpersonal communication, team collaboration and conflict resolution. The workshop will introduce the physiological and psychological foundations of successful communication skills and how these play into our everyday interactions. Principles of mindfulness will be discussed as a method for cultivating awareness of individual communication patterns and engaging in clear, non-confrontational dialogue. Helen Francis: Helen practices counseling and psychotherapy in private practice in Vancouver. She brings her experience in Nursing and training in Family Systems Theory, Mindfulness and Mindful Self-Compassion to her therapy practice. Helen enjoys working with individuals, couples and families dealing with a variety of issues, including relationship challenges, anxiety, depression, chronic illness, family disruption, addictions and grief and loss. Jody Kennett: Jody Kennett is a C-IQ, Conversational Intelligence certified practitioner who facilitates communication, based in neuroscience, that connects people and teams. She is the founder of Elevare where her purpose is to elevate women, business, and communication. As a certified women’s leadership coach she empowers women to advance their career, step into leadership, and manage the demands of work and life with peak energy. Jody is a business growth strategist and is passionate about elevating women in business. Please be sure to arrive by 6:15PM as we will give away any remaining reserved spots at that time. If the event is full at your time of registration you may join the wait-list. Where: Perkins + Will, 1220 Homer St. This event qualifies for 1 Non-Core Learning Unit for the AIBC Continuing Education System. Follow us to learn more and to engage!